When summer arrives in Medinah, you’re likely looking forward to time spent outside, perhaps swimming in the pool or hosting a neighborhood barbecue. What you’re not looking forward to is the possibility of your air conditioner not being able to keep up with the summer heat. At G&R Heating and Air, we can provide AC service and repair when you need it most, keeping your home cool and comfortable all season long. Every spring, before you turn the air conditioning unit on for the first time, it’s a good idea to check for any issues that may affect how effectively the unit can cool your home. 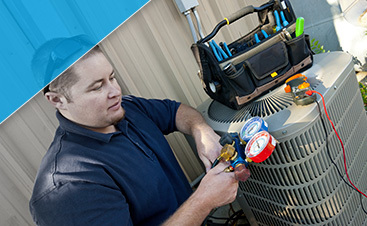 Our experienced team can come to your home, check for any repairs that need to be made, and complete a thorough tune-up so that your AC is ready to go for the summer. 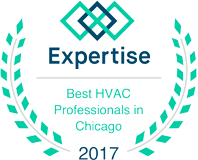 If you’re building a new house, adding on to your home, or you think that it’s time to install a new AC unit, then we can help with that as well. 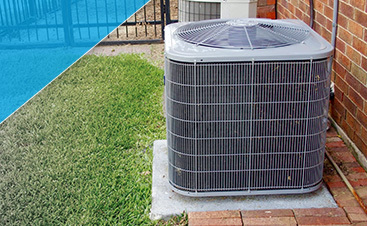 We know which air conditioner will be the most appropriate for your house, and we can take care of removing the old one and putting the new one in place in a timely and professional manner. We’ll gladly answer any questions you have about unit sizing, cooling efficiency, and anything else related to your home’s HVAC system. You rely on your AC unit all summer long, especially during those hot and humid days when all you want to do is sit down and relax for a few hours. 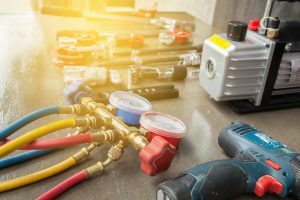 If you’re concerned about that state of your air conditioner, or you’d like more information on installing a new unit, then please contact us right away. You can call us at (224) 419-5324, or you can use the form below and a member of our team will respond as soon as possible.